I have several stamping classes scheduled at my house this month, so I decided to dress up some pumpkins for Halloween with some super-neat (I can't call spiders cute, I'm sorry!) Decor' Elements, "Spooky Things" in Black, #120909 $14.95 from the Holiday Mini (pg 8) These also come in Basic Gray if you want a little less dramatic look! They were very easy to apply to the pumpkins, which I purchased separately at several different discount stores on several different occasions (I waited for the largest pumpkin to go on sale 50% off!) My candles I purchased on clearance a couple of years ago (yes, I'm cheap, but being a farmer's wife with 6 kiddos all those years made me that way! smile!) I was bit worried about getting everything smooth with the ridges on the pumpkins, which is why there are no Decor Elements on the middle one, which has the deepest ridges. I was a little creeped out while putting the spiders on the big pumpkin, but I persevered! I happen to HATE spiders, snakes, any of those creepy-crawly things and always yell for my DH on one of my sons to come and kill them for me! Click on the "Shop Now" button on the upper right side of the page, then click on "Home Decor". You will then have choices of "Vinyl Art", "Stencils", "Decor Accents", "Charms & Chains", "Raw Materials", and "Textiles". 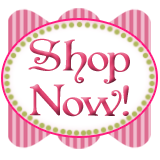 Lots of great products to explore to decorate your home and gifts to suit your style! After Halloween I will just remove this from my door and throw away as they are not re-usable, but at $14.95 for the set of 10, they are VERY economical. I already have some adorable Real Red Decor Elements, "Candy Cane Christmas" #120912 , $14.95 from the same Holiday Mini (pg 36). They also come in Old Olive if that better suits your taste, or you can buy both and mix them together for a true Christmas color scheme! Until tomorrow, have a GREAT Stampingrox! day! Tags: Candy Cane Christmas, Decor Elements, Spooky Things, Stampin' Up! I held my Scallop Square Purse Classes this weekend, and my daughter, Alisa, helped me with guiding the class attendees through the steps to make their purses. We held a Friday night class and one on Saturday morning, so she & her husband, Cody, spent the night so she could sleep in until the last minute! She is more of a night-owl than I am, so when I got up on Saturday morning I was delighted to find these adorable baby-sized purses waiting for me! We had received a request from one of our friends for a toddler-sized Scallop Square purse, and the only requirement was that it be pink! I had commented to Alisa that we needed to try making a purse with the smaller squares from the new Scallop Squares Duo Die in the Holiday Mini. Well, I need to remember from now on that with my Alisa, it is ask-and-you-shall-receive! Now, here's the 4-panel purses we've been selling to a lot of grandma's for their grand-daughters! ©Stampin'Up!™1999-2010 The baby-sized purses are for sale for $20! Well, I'm back to the stamp room for the day getting ready for my 14 workshops this month! Wish me luck with the papercutter! Contact me if you want to purchase one of these purses for yourself or as a fantastic gift for someone special! Tags: baby, Big Shot, purse, Scallop Square Die, Scallop Square Duo Die, Stampin' Up! More Founder's Circle Samples and Time is Running Out to Get "Eat Chocolate"! Click on the "Start Your Own Business" icon on the upper right side of the page to get basic information on how to get started, then click on the "Join Now" icon on the lower left side to apply to become a demonstrator and to choose your Starter Kit products! It will ask for my recruiter password: "yesmam!" Once you have completed the application process and have paid for your Starter Kit, Stampin' Up! will immediately issue you a Demonstrator ID# and will email you the information you need to get on your Demonstrator Webpage so you can get started! When I receive notice that you have joined Stampin' Up! I will contact you as soon as I can to help you get started! Ok, with the business out of the way, here's a few cards from the Founder's Circle Regional Sample boards! This card combines "Jolly Old Saint Nick" with "Christmas Postcard", both from the Holiday Mini! This card uses the Holiday Mini Level 2 set, "Peaceful Season"! This card uses the technique, "Magic Window"! And this easy-peasy card uses the Idea Book & Catalog Set, "Holiday Happiness"! That's it for today, stampers! I have Scallop Square Holiday Purse Classes tonight and tomorrow, and a workshop for Alicia on Sunday, so I will see you back here on Monday with some Halloween samples! Tags: Christmas Postcard, Eat Chocolate, Founder's, Holiday Happiness, Jolly Old Saint Nick, Magic Window, Stampin' Up!